Preheat your Yoder Smokers YS640 to 375ºF set up for indirect grilling (heat diffuser in). 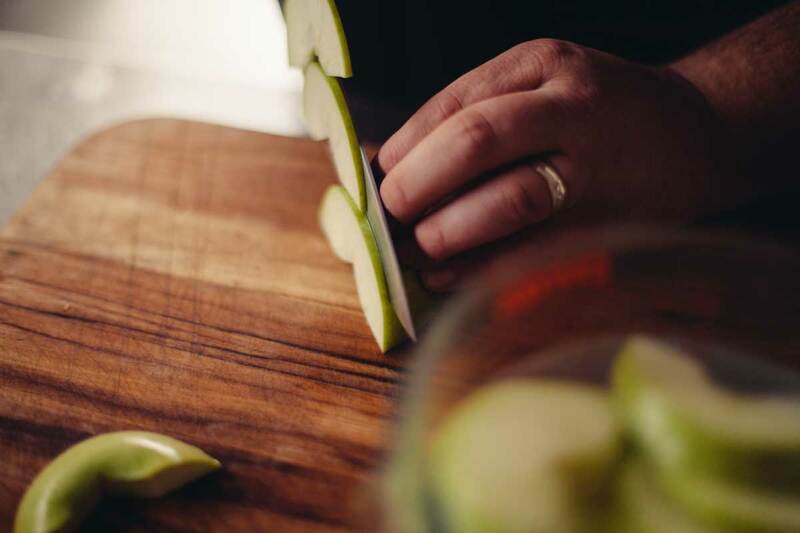 Slice each cored apple half horizontally to create at least 12 fairly equal sized/shaped slices. You’ll need 24 slices total. Place the slices in a microwave proof bowl with the lemon juice and cover with water. Microwave the apple slices for about three minutes to make them more pliable. Cut the puff pastry into three equal strips. It’s easiest to slice along the folds. Using a rolling pin, roll the puff out to stretch the length to about 14”. Make a cut in the center of the strip to halve the length to 7". Spread a couple of tablespoons of the Holmes Made Raspberry Jalapeño Spread on the strip of puff pastry. 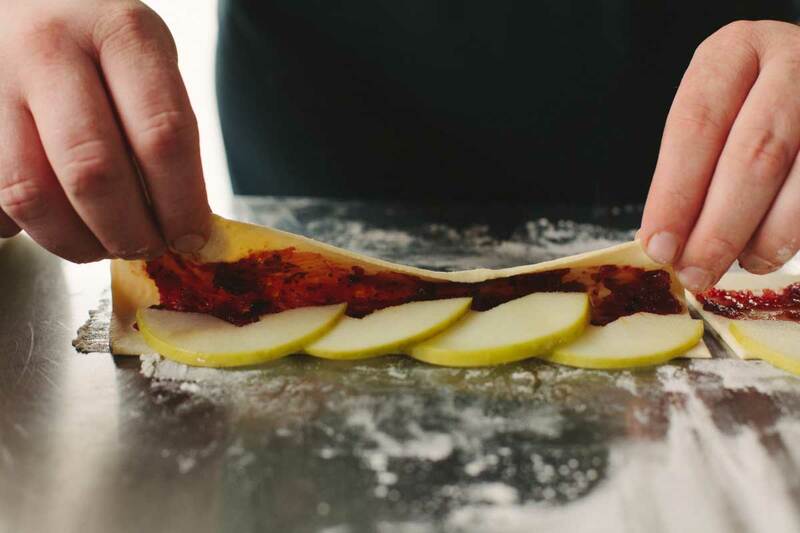 Place four apple slices along the top edge of the puff pastry, round sides up, allowing at least half of the apple to extend beyond the pastry. Fold the bottom edge of the pastry up to the top edge, sandwiching the slices between the layers of pastry. 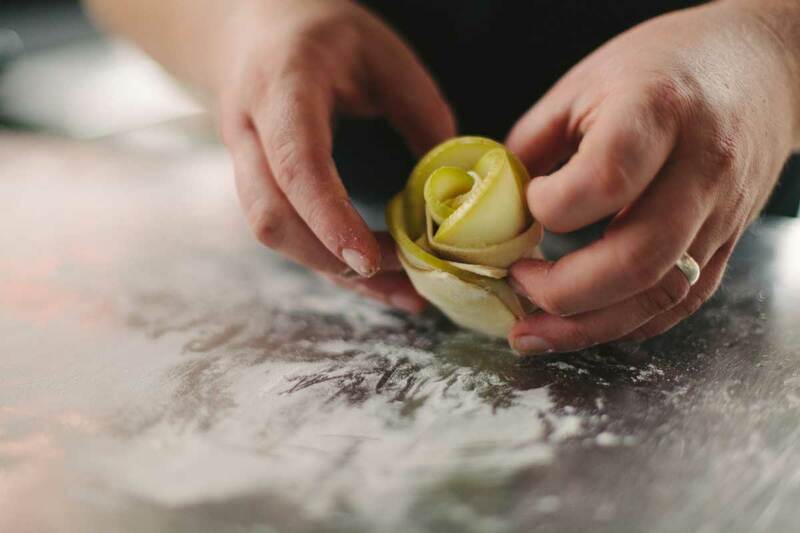 Starting at one small end, roll the pastry and apples into a spiral and place in a Lodge Cast Iron Muffin Pan. Repeat the process to make the remaining five roses. 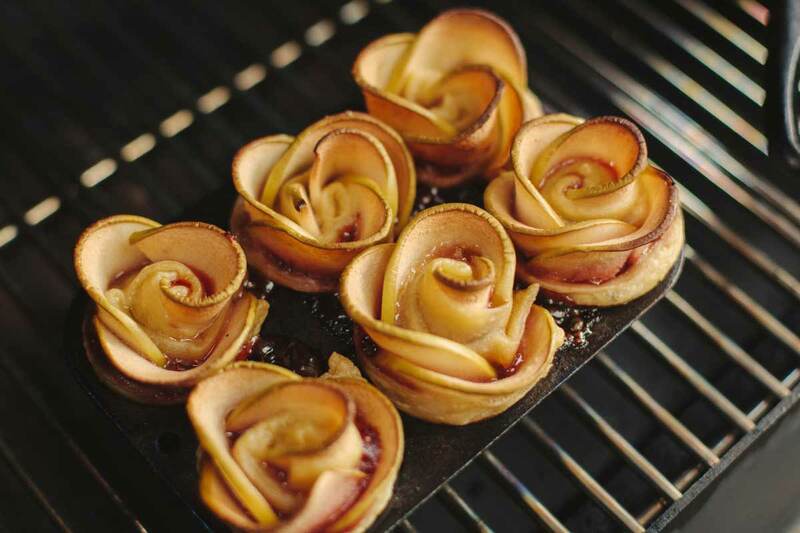 Bake the roses until the pastry is cooked through, about 30 minutes. Remove from the cooker. Sift powdered sugar over the roses. 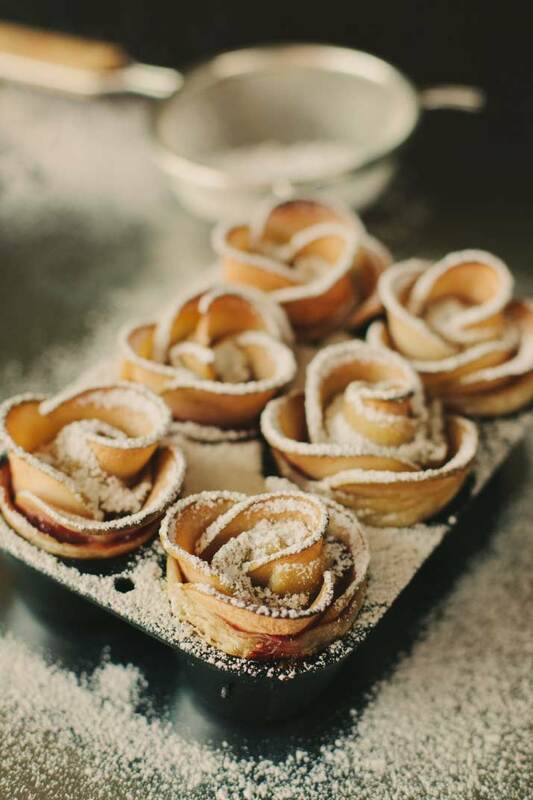 While the roses are still warm use a small knife to remove each rose from the muffin pan. With apple season at it’s best, we continue to find new ways to utilize everyone’s favorite Fall fruit. This one is sure to be a crowd pleaser. It’s visually beautiful! Blow away your friends and family by putting a little finesse into baking on the grill. The ingredients are simple. You can buy a box of frozen puff pastry for a few bucks at the grocery store. Then choose your favorite apple and jam/preserve and you’ve got your bases covered.